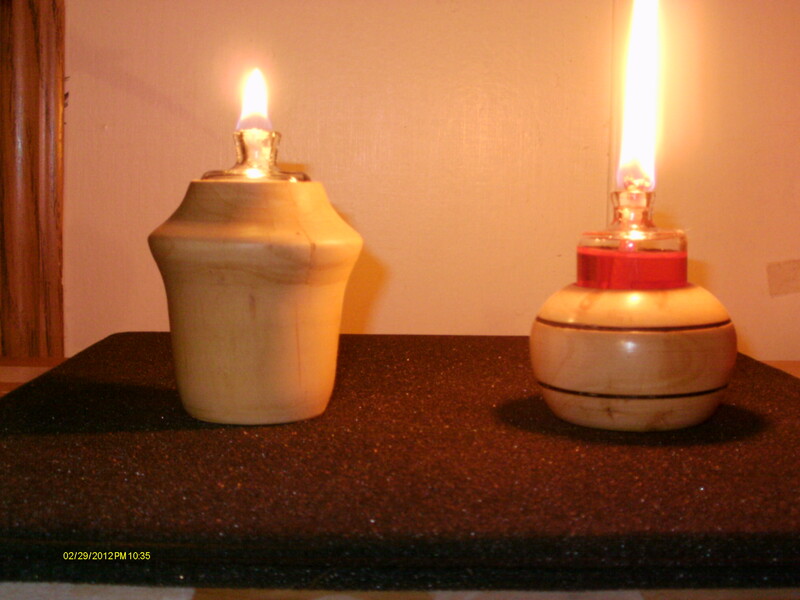 Oil lamps made from apple and maple. These were very quick and easy. I am planning on adding these to my list of thins to sell. Next up will be some maple and walnut.